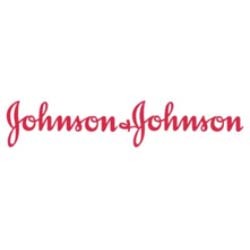 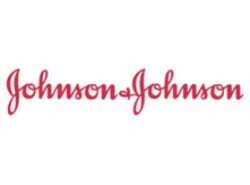 In their commitment to reduction of greenhouse gas emissions and use of renewable energy, Johnson & Johnson installed a 505kW Solar Photovoltaic System at their Consumer Division facility in Skillman, New Jersey. 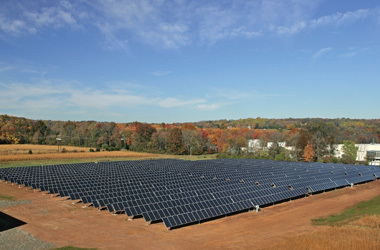 The new system covers nearly three acres and is amongst the largest ground-mounted systems in the United States. 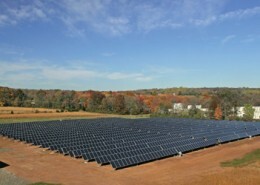 Manufactured by SunPower Corporation, the system has tracking capability that allows the solar panels to track the movements of the sun from sunrise to sunset, maximizing energy production. 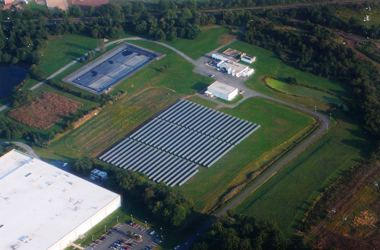 Hatzel & Buehler’s work consisted of the installation of the solar array equipment including 2,520 PV modules and tracker motors. Hatzel & Buehler furnished and installed conduit and power wiring for the solar array equipment and coordinated the connection of the solar system into the Utility Company power grid.